During the last half of the 1950’s there were various discussions and efforts concerning the establishment of a Lutheran congregation in O’Fallon. These included the beginning of a Lutheran women’s group in the O’Fallon area. Pastor William Gerike of Immanuel Lutheran in Wentzville was instrumental in providing pastoral guidance to the group. The first service was held on January 3, 1960, in the O’Fallon Fire Hall. After two weeks there the services were moved to the VFW Hall. 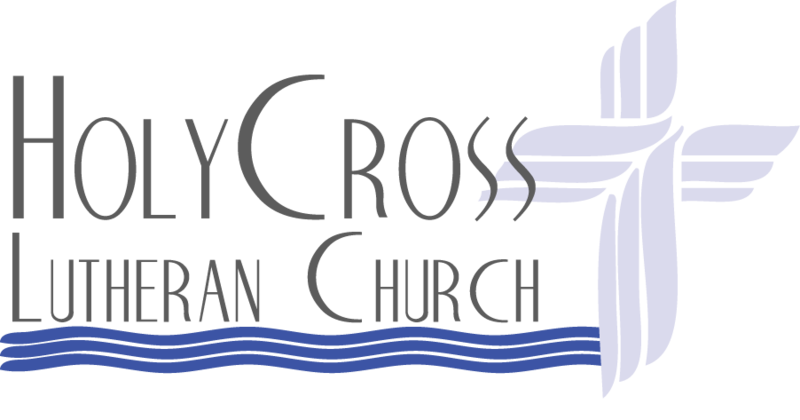 On July 17, 1960, the congregation chose for itself the name of “Holy Cross Lutheran Church.” The charter Sunday of the congregation was September 11, of that year, the Sunday closest to Holy Cross Day (September 14). The new congregation numbered 195 baptized of whom 101 were communicants. We annually observe Holy Cross Sunday on the Sunday nearest September 14 as a reminder of both our message and mission to proclaim the salvation which Christ won for us on the cross. The Rev. Dr. Robert Preus, then a professor at Concordia Seminary, St. Louis, was a regular worship leader, preacher and adult Bible class leader until the installation of our first pastor. the Rev. Darwood J. Kesselmayer was installed as the first pastor of Holy Cross Congregation on May 18, 1961. In October of the same year we moved our place of worship from the VFW Hall to the O’Fallon Mortuary. October 22, 1961, was the joyful occasion of groundbreaking ceremonies for our first church building at 201 Highway 175, the cornerstone for that building was laid on May 20, 1962. The cornerstone is built into the wall inside the entrance to the office wing of our present building. We dedicated our first house of worship on July 8, 1962. That building served as our place for worship and activities for nearly 11 years. During that time the congregation grew from 315 baptized to 821. After Pastor Kesselmayer accepted a call to Pekin, the Rev Gary H. Heide was installed as our pastor on March 9, 1969. The ministry staff was enlarged in 1971 with the installation of a parish worker, Ila Steinke, who served the congregation for almost a year. On July 16, 1972, Deaconess Mary E. Gunderson was installed at Holy Cross Congregation. As God gave us growth the facilities at 201 Highway 175 became inadequate. After much discussion concerning enlarging the facilities or building new facilities, we accepted an offer from Mark Twain Bancshares and sold our building to them in the spring of 1973. This led to our pilgrimage years. On August 19, 1973, we vacated our building. During the following 21 months we worshiped and held Sunday School at the chapel and Facilities of the Sisters of the Most Precious Blood. We used the old school building of Williams Memorial Methodist Church for offices, meeting space and kindergarten. On November 21, 1973, several members of our congregation became part of the nucleus of Christ the King Lutheran Church in St. Peters. Pastor Heide accepted a call to Peace Lutheran Church, Selah, WA, at the end of December in 1974. With great thanksgiving to God we dedicated our present church building and facilities on May 25, 1975. We praise God that we have these facilities so ideally suited to our worship and other activities. The Rev. Donald A. Christiansen was installed as our pastor on November 29, 1975. After nearly nine years, Sister Mary Gunderson finished her service at Holy Cross in May of 1981. Mr. Rex. Kollmorgen was installed as our Director of Christian Education, Youth and Music on December 20, 1981. Our 20 rank Reuter-Bosch pipe organ was installed in 1987. It was refurbished and digital components were added after the fire in 1999 so that it now has the equivalent of 72 ranks.In August of 1989 Mr. Kollmorgen accepted a call to Battle Creek, NE. In August of 1990 Pastor Christiansen retired. The Rev. John A. Hofius was installed as our pastor of February 24, 1991, and the Rev. Donald E. Stock was installed as Assistant Pastor on August 9, 1992. On November 5, 1996 Pastor Hofius was called to the Church Triumphant. Our present Pastor Rev. Keith D. Wachter was installed in July of 1997. Pastor Stock accepted a call to Immanuel Lutheran church in Joplin, MO, in July of 1997. On September 1, 2000, Ann Shields, head of the Department of Sacred Music at Lindenwood University, became our Director of Music. She departed that position September 30, 2001, to care for for her mother. On January 1, 2002, Travis Evans became our Director of Music. A second pastor, Rev. Matthew J. Hoehner, was installed on July 28, 2002. In 2007 Danielle Mizel became our DCE Intern and was formally called to that position the following year. Pastor Matthew Hoehner left Holy Cross in August of 2008 to return to the Seminary in St. Louis. On June 28th, 2009 Holy Cross Ordained/Installed a new associate Pastor, Rev. Andrew Gimbel. Click here to see our stained glass windows. On September 28, 1999, lightning struck the church building, setting a fire. A kind soul who was passing by and saw smoke called the fire department. For the first month following the fire we held services at Lutheran High. Until September 24, 2000, we held services in our fellowship hall. On September 24, 2000, we rededicated the rebuilt sanctuary to God’s glory. God has shown great mercy to Holy Cross congregation. We now number over 1,000 baptized members, many of whom are also communicant members. The sanctuary has been rebuilt. The new narthex is complete. Together we praise Him for over 50 years of His grace and favor and pray for His continued blessing as we serve Him in this part of his world. Holy Cross Preschool opened its doors for the first time in the fall of 2003. It is operated as an outreach ministry of Holy Cross Lutheran Church. The mission of the preschool is to develop and nurture the faith walk of families in our community and church through a quality early childhood program.